This richly illustrated volume is the first complete atlas of coffee production in Ethiopia, birth-place of coffee drinking and the main home of wild arabica coffee (Coffea arabica). Around 15 million Ethiopians are coffee farmers, and Ethiopia is Africa’s largest coffee producer and one of the most important coffee-growing regions of the world, renowned for its diversity of flavour profiles, including those of the celebrated coffees of Harar, Limu, Sidamo, and Yirgacheffe. 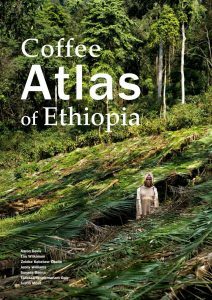 The aim of the Coffee Atlas of Ethiopia is to inform the reader about the coffee landscape of Ethiopia. It shows where coffee is grown, where the natural coffee forests are located, and where coffee could be grown. The atlas maps are accompanied by information on coffee farming, environment and climate, and a description of the main coffee areas. Also included in the atlas are key coffee origins, coffee towns and coffee delivery centres, as well as other useful items. The atlas can be used to assess the potential and vulnerability for coffee farming in Ethiopia, as well as provide a logistics resource for the coffee sector and those otherwise working with, or interested in, coffee. It is also an essential reference for resource managers. Artist/Author: Van Der Burgt, Xander, Jos Van Der Maesen and Jean-Michel Onana. 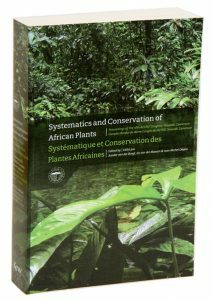 An edited volume based on the proceedings of the eighteenth Association for the Taxonomic Study of the Flora of Tropical Africa Congress held in Yaounde, Cameroon, “Systematics and Conservation of African Plants “includes one hundred research papers in separate sections on taxonomy, phytogeography, ethnobotany, and the conservation and sustainable use of African plants. Topics covered include recent advances in reproductive biology, vegetation, and Podostometaceae in Africa. A separate section on African floras reflects the present state of knowledge and progress towards our understanding and documentation of the plants of Africa. 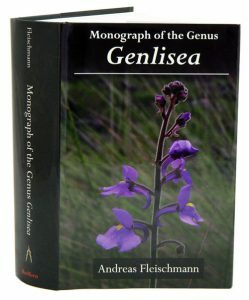 Monograph of the genus Genlisea. A complete study of the genus Genlisea (also known as corkscrew plants) – arguably the least known, but most enigmatic, and extraordinary of all carnivorous plants. This work examines the diversity, ecology, trapping processes and relationships of all Genlisea species known worldwide. Six years in the making, this definitive study provides the first ever overview of this spectacular and extraordinary group of carnivorous plants. 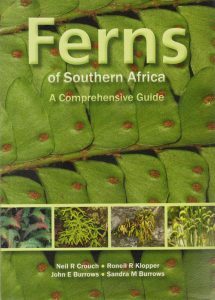 Ferns of Southern Africa: a comprehensive guide. Artist/Author: Crouch, Neil R. et al. This comprehensive guide to the ferns of southern Africa (covering South Africa, Swaziland, Lesotho, Botswana and Namibia) throws new light on a category of plants that’s little described or featured. User-friendly and accessible, it will enable quick and sure identification of all 315 ferns known to occur in the region. The book features: a double-page spread per species with a full plate of multiple; photographs, including close-ups; informative line drawings where necessary; detailed but clear descriptions; tables that highlight differences between similar-looking species; distribution maps based on years of intensive fieldwork; and, identification keys to families, genera and species. 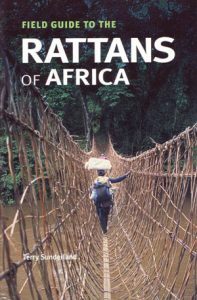 In compiling this unique and beautiful volume, the authors travelled extensively, even finding several new species of ferns. They are all treated in this guide – some described here for the first time. “Ferns of Southern Africa” will become the standard reference book on local ferns, and will likely become sought-after Africana. For over a century, plant specialists worldwide have sought to transform healing plants from African countries into pharmaceuticals, resulting in many long and enduring conflicts. 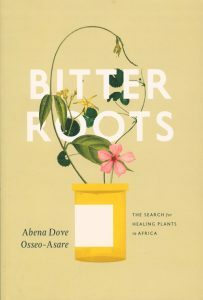 In this book, Osseo-Asare draws on public records and extensive interviews with scientists and healers in Ghana, Madagascar, and South Africa to interpret how African scientists and healers, rural communities, and drug companies – including Pfizer, Bristol-Myers Squibb, and Unilever – have sought since the 1880s to develop drugs from Africa’s medicinal plants. Focuses on the efforts to transform six plants into pharmaceuticals: rosy periwinkle, Asiatic pennywort, grains of paradise, Strophanthus, Cryptolepis, and Hoodia. Through the stories of each plant, we see how herbal medicine and pharmaceutical chemistry have simultaneous and overlapping histories that cross geographic boundaries. At the same time, Osseo-Asare sheds new light on how various interests have tried to manage the rights to these healing plants and probes the challenges associated with assigning ownership to plants and their biochemical components. A fascinating examination of the history of medicine in colonial and post-colonial Africa, this book will be indispensable for scholars of Africa; historians interested in medicine, biochemistry, and society; and policy makers concerned with drug access and patent rights. Orchids and wildflowers of the Kitulo Plateau. Artist/Author: Salter, Rosalind F. and Tim R.B. Davenport. 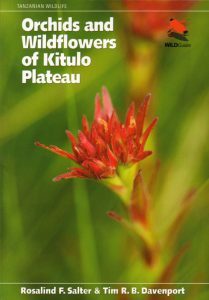 This guidebook is the first to cover Kitulo’s exquisite wildflowers and orchids. In this illustrated guide, 112 species are described from Bustani ya Mungu in the Tanzanian Southern Highlands. First published in 1981, this title has long served as an authoritative guide for academics and lay enthusiasts alike. This long-awaited third edition takes into account intervening taxonomic advances and the discovery and naming of ever more species. All information has been fully revised, updated and supplemented in line with the latest thinking, and the book has been newly designed for clarity and ease of reference. 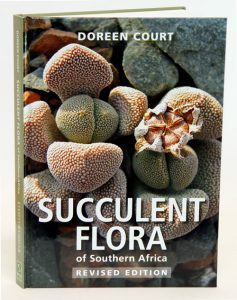 Given the phenomenal extent and variety of our region’s succulent flora, this revised version is a timely addition to the botanical literature of southern Africa. 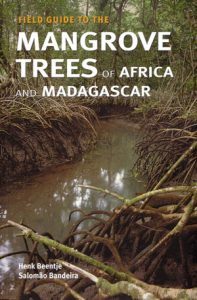 Field guide to the mangrove trees of Africa and Madagascar. Artist/Author: Beentje, Henk and Salomao Bandeira. All species of mangrove trees are described and illustrated with line drawings, colour photographs and distribution maps in this easy to use and detailed guide. The first identification aid for the rattan palms of the entire continent. Artist/Author: van Wyk, Braam and Piet van Wyk. With about 1800 native species of trees in southern Africa, plus several hundred more that have been introduced, the challenge of identifying even a small portion of these is a problem for botanists and laymen alike. 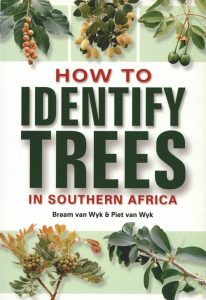 Most tree identification guides require one to be familiar with the family from which a particular tree comes, but the authors have developed 43 groups into which trees can be categorised, according to easy-to-observe characters, such as leaf shape and form, presence or absence of thorns or prickles, or whether or not latex is present. By utilizing their simple and logical way of looking at trees, it is possible to arrive at a likely family and, from there, to move towards positive species identification. The title starts by defining key characters, such as leaf arrangement and venation pattern, before considering secondary identification characters such as bark, seeds, fruit and flowers. Once one has an understanding of what to look for when examining a new tree, it is possible to move on to the 43 groups for a more detailed breakdown of the defining characters. Artist/Author: van Wyk, Ben-Erik et al. 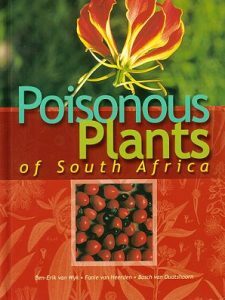 A comprehensive guide to the most commonly occurring poisonous plants in South Africa. The book includes: Detailed species descriptions of 135 poisonous plants including a description of the plant, type of toxin, potential toxicity of the plant, importance in human or livestock poisoning and poisonous ingredients and pharmacological effects. 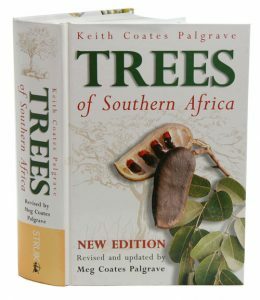 Artist/Author: Palgrave, Keith and Meg Coates Palgrave. This third edition has been updated, revised and expanded. It features new, simplified keys based on leaf characteristics, and incorporates updated names, reclassifications and new species. All know indigenous trees and many naturalised aliens occurring south of the Zambezi-Cunene rivers are included. A comprehensive, user-friendly guide, it will appeal to tree enthusiasts and professional botanists across the sub-continent.